Embarrassingly, my formal shoe selection has been lacking for some time, so I took advantage of Brooks Brothers’ latest Friends and Family promotion to pick up a new pair that would be more appropriate to be worn with suits. I went intending to find plain Peal and Co. captoes, but came back with some featuring medallions instead. Close enough I think. Some of the recent models that they’ve been selling under their Peal and Co. brand have slightly chiseled toe shapes, not too unlike Alden’s Plaza last. 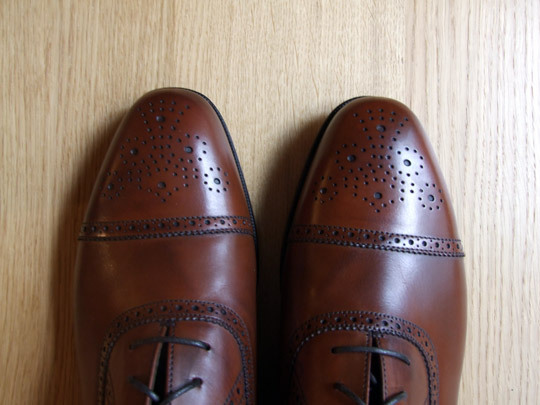 It is a good middle ground between a classic round toe and the longer pointed shapes like the Crockett & Jones 337 last. 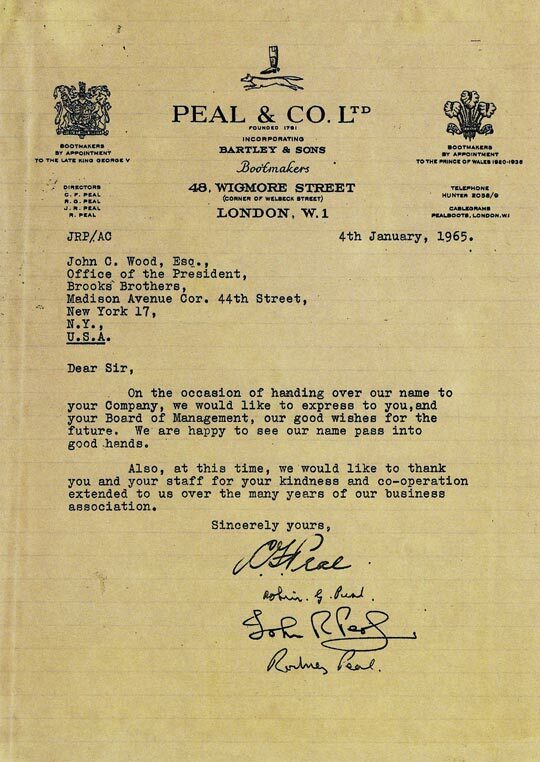 Peal and Co. exists only by name today – facing hard times in the mid 1960’s, the then owners of the company closed the factory and sold the brand to Brooks Brothers, who have held onto it ever since. 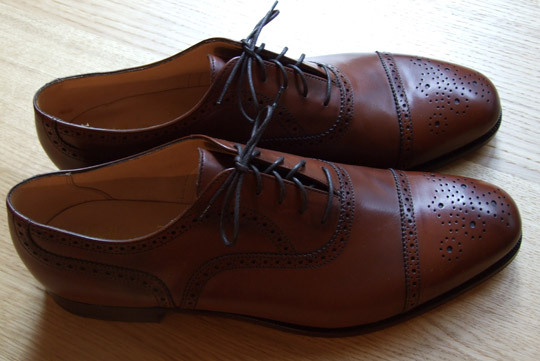 The shoes are still made in England, but are contracted out to various firms around Northampton.